The last five years of studying at school has built up to this day – you are bound to be nervous, but Results Day is not going to bring the end of the world so try not to worry: distract yourself and get a full night’s sleep. Think back to another time in your life when you have been nervous and remember that eventually, it all ended up okay. Whatever numbers you find on your results slip it is going to be okay in the end. When your nerves are high it can be difficult to fully process what results you have got. Read your slip carefully and make sure that you completely understand what you’ve got. If you haven’t got what you expected, it is worth talking to your teacher about the result. They should have an idea of how you performed and might suggest that you have your paper remarked. Everyone will be rooting for you on Thursday but if your results don’t quite go to plan, keep calm and ask for help. Staff at your school will be on hand to offer advice and your chosen sixth form/college will be on the end of the phone to discuss your options. You can also pop into our GCSE Advice Clinics at Furness College for expert impartial advice on your next steps for the future. We’ll be running our advice clinics at both campuses on Thursday 23 1.00-4.00pm and Friday 24 9.00-12.00pm. People talk lots about what to do when things go wrong but let’s take a minute to talk about things going right. 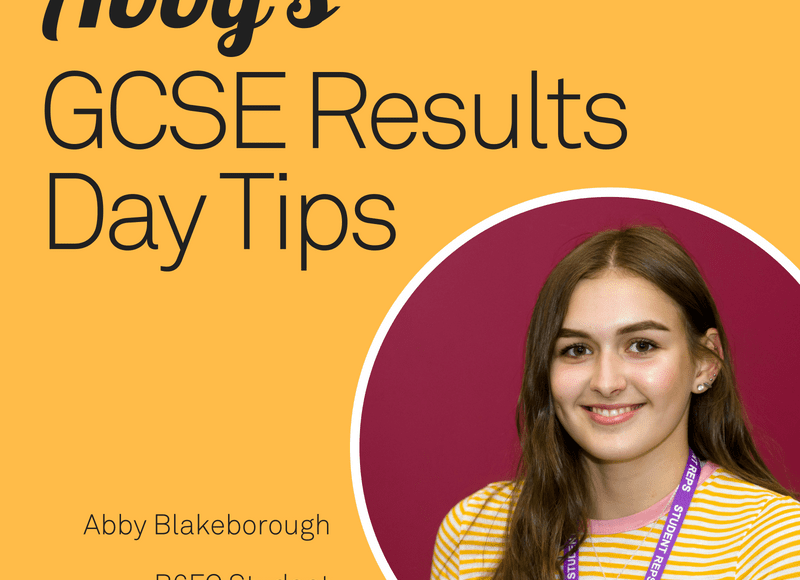 Whatever the result you will have made a huge accomplishment in finishing your GCSEs so be sure to celebrate your successes with friends and family. You are now starting the next chapter of your life and it’s going to be great. Look forward to your results as they are the stepping stone to whatever your future holds. Why not check out what is going on in the first weeks of your new college/employment and be excited about that! Coming to Furness College? Check out #FurnessFreshers now!